12 Pieces - 12 Stucke. Composed by Various Artists. Piano. Classical. Book Only. Composed 2016. 40 pages. Forberg Edition #F 95074. 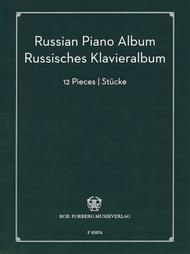 Published by Forberg Edition (HL.50600870). 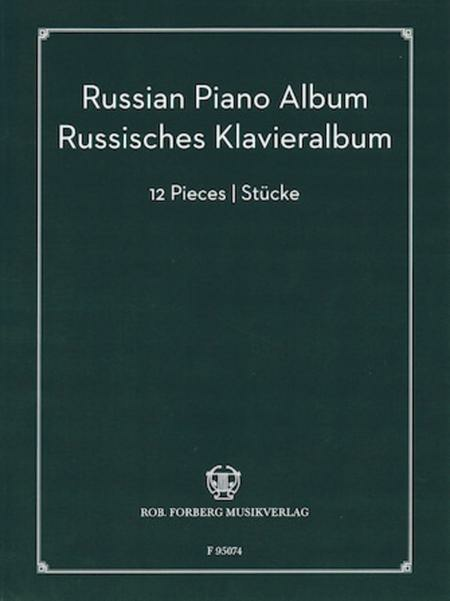 This collection features both famous and lesser known Russian composers: 12 selected compositions by Anton Arenski, Reinhold Gliere, Michail Glinka, Sergej Prokofjew, Alexander Skrjabin and more belonging to the eminent Forberg repertoire. Das Russische Klavieralbum von Forberg enthalt 12 ausgewahlte Stucke von bekannten und weniger bekannten russischen Komponisten, darunter Anton Arenski, Reinhold Gliere, Michail Glinka, Sergej Prokofjew, Alexander Skrjabin und Peter I.Tschaikowsky. La raccolta include 12 brani di compositori russi, sia celebri sia poco conosciuti, quali Anton Arenski, Reinhold Gliere, Michail Glinka, Sergej Prokofjew, Alexander Skrjabin.